Even though the Windows Phone’s OS is not as popular as Android or iOS, it is still being used by a large amount of people. 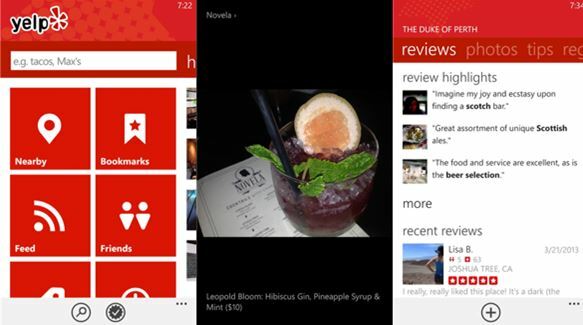 Today we’re going to talk about some top applications that should not be missed when looking for apps to install on your Windows Phone device. Facebook is the social network of the moment and is still growing every day. If you are using the internet to keep in touch with your friends, we’re sure you are also using Facebook. 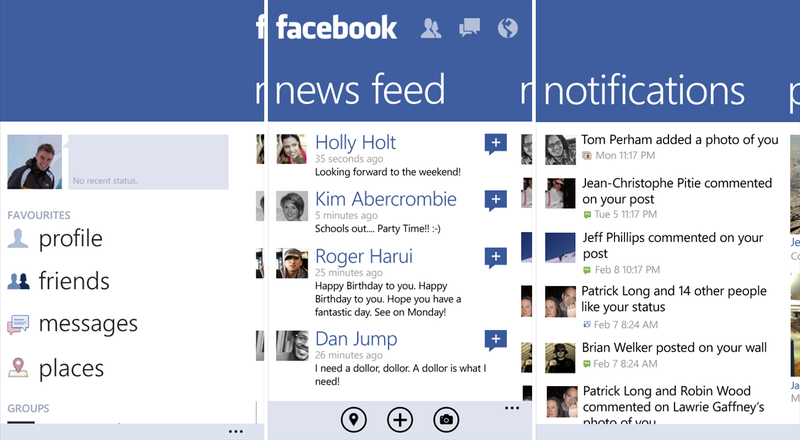 This is why we suggest you install the Facebook mobile version on your Windows Phone. You will be able to post photos, updates, check-ins, etc. If you are using Facebook on your computer, we suggest you to head to the official store and install Facebook on your Windows Phone device. Twitter, like Facebook is another popular social network. However, we feel that Facebook is offering a lot more than Twitter. But that doesn’t stop the Twitter application from being quite popular. 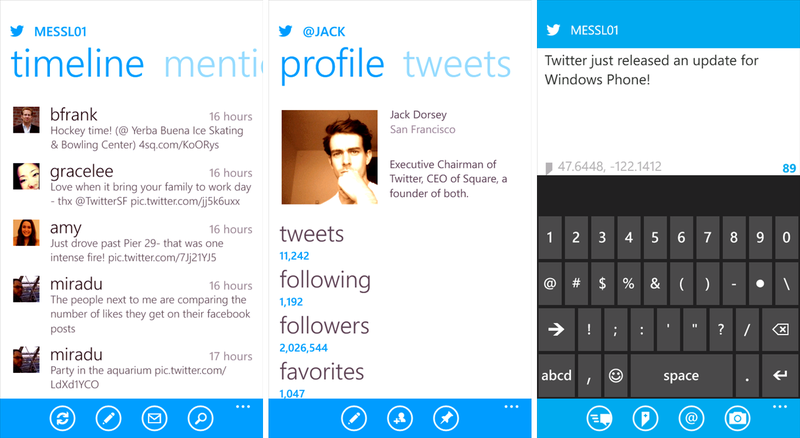 Twitter on a Windows Phone is ad-free and has a clear user interface. It allows you to include the location and photos on your tweets, and also watch Vine videos right from the application. 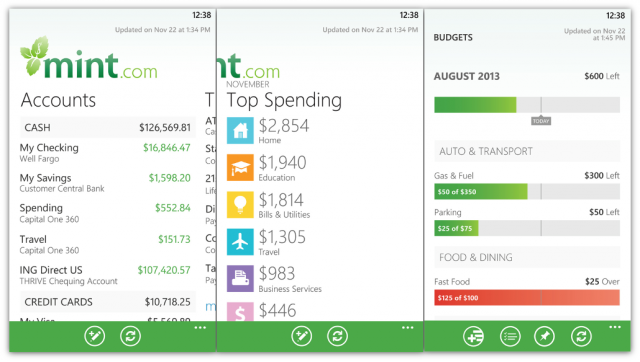 Mint is a personal finance management service that Windows Phone users should have installed on their mobile devices. Even though the Mint application on a Windows Phone doesn’t have as much features as the ones found on iOS or Android, it still does a pretty good job. The application comes with a clean design and gives you instant access to your account balances, spending habits, budgets and financial transactions. At the same time, the application will alert you if it detects an “unusual” spending pattern. 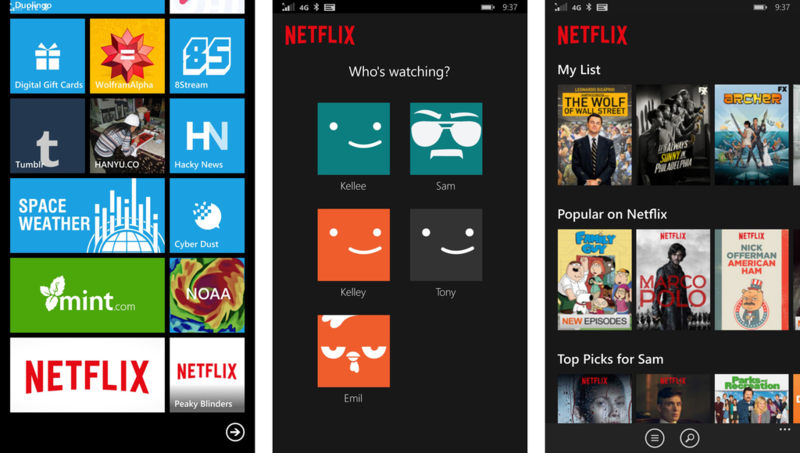 Netflix is an application that allows you to watch shows and movies. However, in order to use this service you will have to pay. By using Netflix you will be able to continue watching the shows or movies that you’ve started watching on a bigger device. The application comes with a simple interface and you will get used to it very quickly. If you are visiting a town that you’ve never been to Yelp is an application that will help you out a lot. If you are out of fuel you can find a gas station that is nearby. It will also help you find something to eat as it can find a pizza place or a restaurant. In other words, Yelp is the application that will find you any public place such as a restaurant, shop, pub etc. Everyone needs to know how the weather is going to be in the next few hours or days. The Weather Channel comes with this kind of information and allows you to add more than one city. This way you will know how the weather will be in a specific town in the next few hours or days. 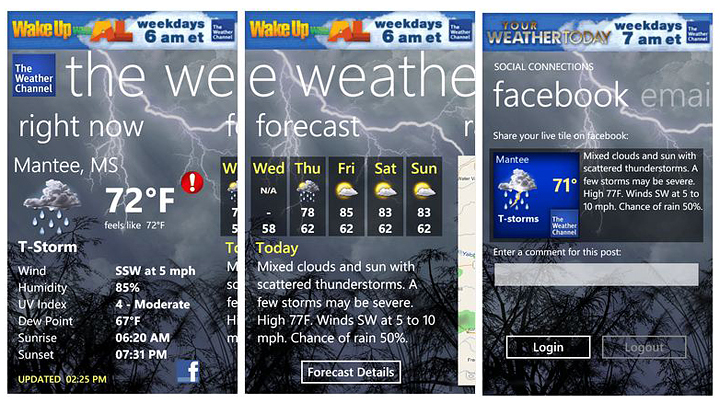 This application is quite similar to the stock weather application that your Windows Phone comes with. However, The Weather Channel comes with even more information and it also includes radar maps and up to ten day forecasts. Skype is another well-known application on Windows PC. It is used by normal people, gamers, business, companies etc. The application allows you to send text messages, files and even make voice and video calls. 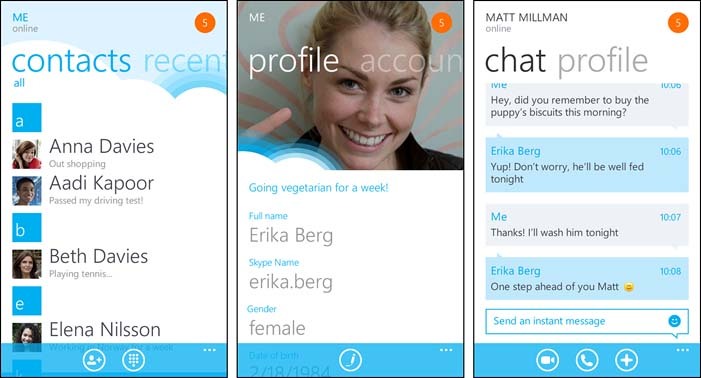 Skype is also available on iOS, Android, Mac and Windows Phone. 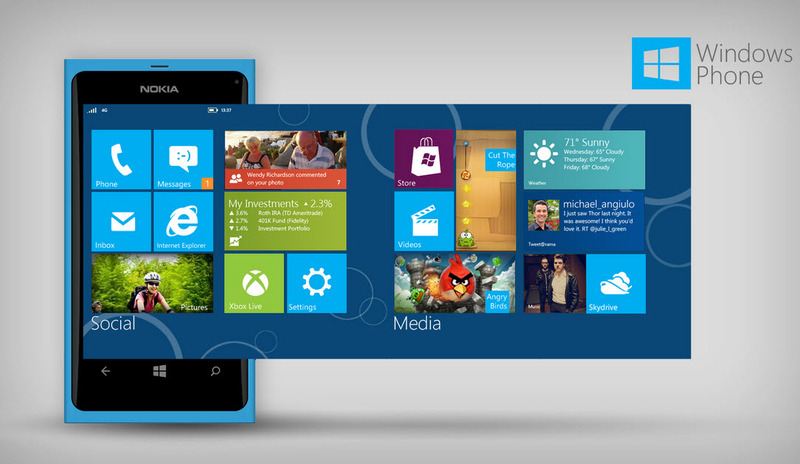 The great thing is that you will be able to use the same user name on your Windows PC and Windows Phone. In addition, the partner doesn’t need to own a device on the same platform. In other words, you will be able to make a Skype call from your Windows Phone to a friend that uses Skype on Android, iOS or Windows PC. In addition to this the application allows you to make mobile phone calls and landline calls at low rates, but of course, you will need to pay for that service. Are you listening to music on your mobile device? Then you should install Pandora on your Windows Phone device. This streaming music application allows you to pick music depending on your favorite genre or sub-genre. However, you can’t specify exactly what songs you want in your playlist, but you can skip up to 6 songs that you don’t like. 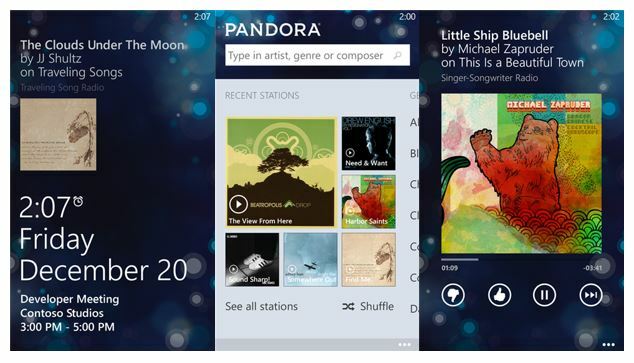 Pandora allows you to pin your favorite stations, as start screen tiles. This way, when you start the application you will see each favorite station and what song they are currently playing. You can safely install this application on your child’s device because the application allows you to set an account for your child. This way explicit songs will be automatically blocked and you will not have to worry about your child hearing obscene words etc.